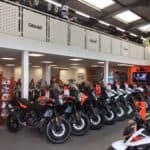 Storage Concepts have completed another fantastic Mezzanine Floor / Interior project for a retail application selling high end motorcycles for KTM, Honda and Husqvarna plus all the accessories and clothing. 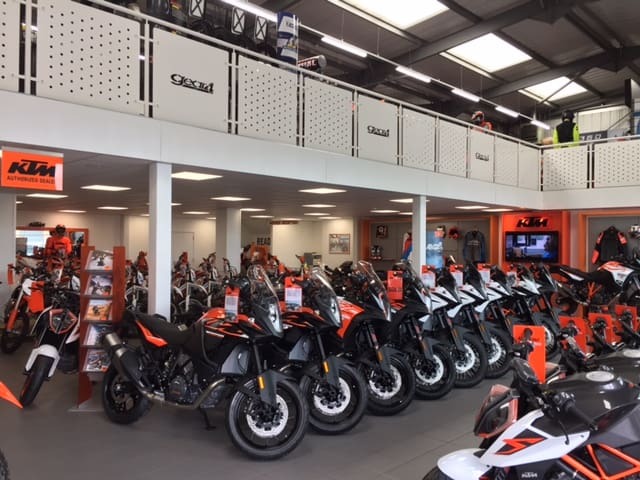 Having designed and installed the Mezzanine Floor to provide additional retail and storage space, the client has significantly increased the operational space to increase sales and profit. 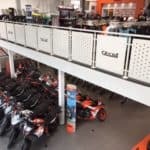 The systems installed comprised of a free standing mezzanine floor, feature balustrade, retail and fire escape staircases, fire rated ceiling, LED light fittings, partitions and floor finishes. The overall effect is a dramatic colourful and powerful retail showroom.